- Ideal choice for kids bathroom, wash basins etc. 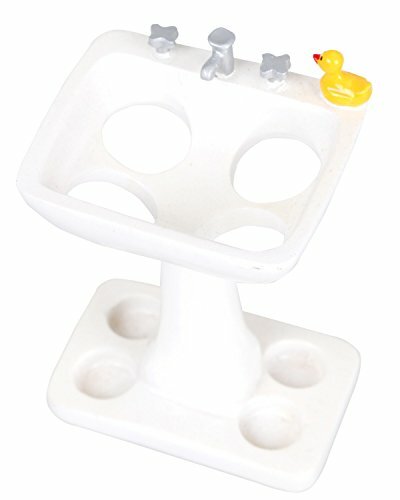 - ORDER NOW AND GET THIS INCREDIBLE DUCK HOLDER! LIGHTWEIGHT & DURABLE - Made of polyresin. The holder is unbreakable and long lasting. holder can withstand accidental drops, and is sure to last for years to come. So the toothbrush holder is a good choice. TRENDY & WONDERFUL GIFT - Adorable TETIBA toothbrush holder can be a great gift to your children, friends or family for any occasion (birthdays, mother's day, anniversaries, or any other festive occasions). High quality, and stylish design make this soap dish an ideal gift choice. 100% SATISFACTION GUARANTEE - We also offer you 100% risk-free satisfaction guarantee to let you buy with confidence : no questions asked. If you have any questions about this product by TETIBA, contact us by completing and submitting the form below. If you are looking for a specif part number, please include it with your message.